After a long and cold winter, it’s time for riders across the country to pull their bikes out of the garage, hit the road, and focus on the long warm days ahead. FLY Street is proud to bring to market several new jackets this Spring that are designed to withstand the elements. The versatile Strata jacket is the culmination of countless hours of design, engineering, and testing to ensure that every rider will be ready to fight back against whatever brutal weather is thrown their way. The Strata is truly a four season, 3-In-1 jacket. 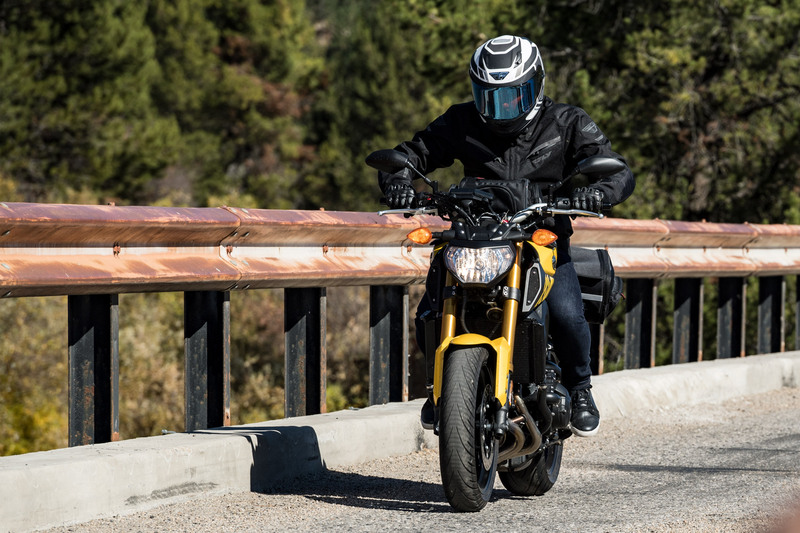 The Strata is built with an outer jacket, inner mesh jacket, and insulated vest, which can be mixed and matched based on a rider’s preference or the riding conditions. Included in the jacket is CE Level 1 removable armor in the shoulders, elbows that conforms to EN1621-1 standards, and a protective PE back protector. Armor is compatible with both the outer jacket or inner mesh jacket. Ready for the harshest of weather conditions, the outer jacket features Hydraguard weatherproof technology utilizing taped seams and waterproof zippers. When the temperature heats up, the outer jacket’s large intake and exhaust vents can be opened for instant relief. When the heat becomes unbearable, peel off the outer jacket to reveal your second line of defense, the Strata mesh jacket. The mesh jacket features abrasion resistant open mesh construction that allows for maximum air flow. The thermal vest is perfect for added warmth on those cold days or by itself as a casual piece. With 120g of high-efficiency thermal insulation, riders can ensure their core stays warm. 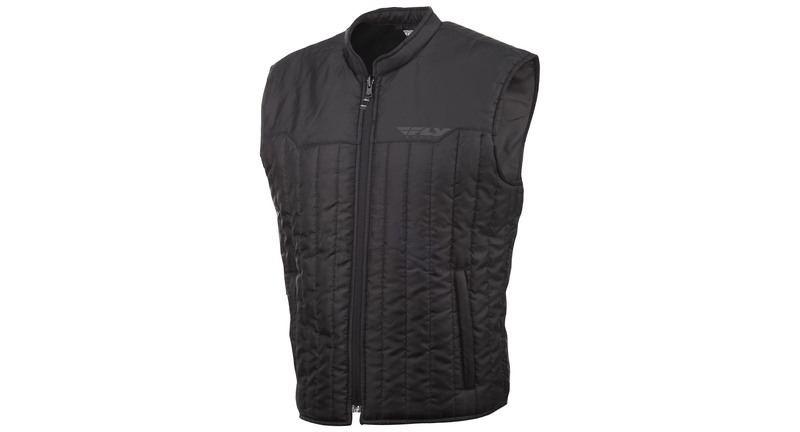 Featuring an internal pocket and two zippered hand warmer pockets, the thermal vest is minimal on weight, not features. To learn more on the Strata Jacket, click HERE. The Airraid Jacket is perfect for riders looking to keep their cool, even on the hottest of pavement. With an advanced diamond mesh pattern optimized for maximum airflow, and a breathable Hydraguard removable liner that provides superior waterproof capabilities, the AirRaid allows riders to drop the temperature and raise their adrenaline. Included in the jacket is CE Level 1 removable armor in the shoulders and elbows that conforms to EN1621-1 standards, a protective PE back protector, and front PE chest protector. The AirRaid’s anatomically fitted cut is perfect for sport riders who demand performance from their gear in every condition. For more information on the Airraid Jacket, click HERE. The Baseline Jacket brings unmatched versatility and functionality while providing critical CE protection required to beat the rough streets. The Baseline jacket’s advanced lightweight main shell provides superior abrasion and tear resistance. With Hydraguard weatherproof technology and a removable thermal vest, the Baseline jacket provides options no matter what kind of climate. Included in the jacket is CE Level 1 removable armor in the shoulders, elbows that conforms to EN1621-1 standards, and a protective PE back protector. The Baseline packs in more features than you bargained for. For more information on the Baseline Jacket, click HERE.